Nathan P. Gilmour , 28 May 2015. Once again a conversation about what we haven’t read has turned into an ambition to read. Those of you who listen to the Christian Humanist Podcast (and if you don’t you should) heard us say that neither Michial nor I can claim to have read Immanuel Kant’s Critique of Pure Reason from cover to cover. This summer, Todd Pedlar (your friendly neighborhood Book of Nature physicist) and I are going to attempt to rectify that. We’re going to alternate weeks and pose questions and concerns to each other in the comments. For my part of this project, I’ll be using the Penguin edition of the Critique as well as A- and B-manuscript pagination. Todd will likewise use A- and B-manuscript pagination so that folks with any translation can follow along. Kant devotes much of the prefaces to the first and second edition to introducing and explaining terms. Such is the stuff of philosophy, of course–whenever I teach Plato or Aristotle or Nietzsche, notions of dikaiosyne and phronesis and Übermensch occupy much of our time. In Kant’s prefaces and in the introduction to the book, likewise, terminology is king. In the first (A, 1781) edition’s preface, Kant takes up the term “metaphysics” as the main philosophical problem, and for the purposes of that preface, metaphysics names the conditions within which experience is intelligible (5, A vii). The point of the inquiry is not to examine the nature of every possible object of experience, which would fill up many books indeed, but to take on a humbler task, namely to delineate the character of that faculty that experiences, absent the content of the experiences, in other words what philosophy tends to call reason (8, A xiv). Kant is forthcoming to the point of being funny in the introduction: he says right up front that, for the sake of conserving space, he won’t be providing any examples for the sake of making his philosophy more readable (10, A xviii). Having read the first eighty pages of the book, I can congratulate the old German for truth in advertising on that point. The second (B, 1787) edition’s preface is far more extensive, and in that version he famously offers his own project up as analogous to the astronomy of Copernicus: just as Copernicus suggested a new conception of how bodies in space relate to each other, with the earth revolving about the sun rather than vice versa, so Kant suggests that, instead of trying to solve the problem of how human reason conforms to things in an external world, philosophy would do well to examine how objects conform themselves to the operations of reason (18, B xvi). After all, if to know the world unconditioned by human concepts is the aim of science, then as soon as one thinks of the world the aim disappears in contradiction (20, B xxi). But if philosophy aims not at the unconditioned world but at reason, uncomplicated by experience, then such contradictions vanish (20, B xxi). Once philosophy mounts a critique of pure reason, a rigorous account of the limits of mental activity, Kant suggests that the real benefit of human reason stands to emerge. Unencumbered by impossible and contradictory accounts of reality unconditioned by thought, philosophers can turn the powers of pure reason on moral questions, their proper objects (22, B xxv), and reality-as-experienced, the real stuff of empiricism, can replace the world-mind relationship that has fruitlessly obsessed philosophy. To this end, Kant proposes to establish the ways that reason thinks objects without knowing them (23, B xxvii), to demonstrate that causality applies to objects-as-experienced without binding objects-as-they-are to natural “laws” (24, B xxviii). Such a separation not only removes the contradiction between determinism and free will in ethics (25, B xxix) but suspends futile quests for certain knowledge so that philosophy can examine the structure of belief. Once again, in this introduction, Kant takes an elitist turn that proves that, even if he never was a great prose stylist, he did tell some truth. Kant presents Critique of Pure Reason as an inherently elitist project: although Kant anticipates that the benefits of the project will reach the masses, he harbors no illusion that most people will be able to grasp the project conceptually (27, B xxxiii). With disclosure like that I was ready to delve into a legendarily dense philosophy book, and even the introduction, in that respect, did not disappoint. Once again Kant spends a fair bit of time in the Introduction establishing basic relationships between terms. When Kant writes of a priori knowledge, he will mean knowledge “absolutely independent of all experience” (37, B 1). Thus the only sorts of knowledge that will count as a priori will be necessary connections (things that could not be otherwise, logically) and empirically universal knowledge (which would require further explanation, beyond the nature of any given instance, if any instance seemed to violate the categorical character) (39, B 4). Any a priori knowledge stands as a condition for experiencing anything at all; any knowledge that arises from experience itself will be a posteriori. The grand philosophical difficulty that arises in the Introduction is the possibility of synthetic (expanding the range of knowledge) a priori (universal or necessary) knowledge. On the face of the logic a synthetic a priori seems impossible: after all, a priori knowledge must be in place before experience becomes intelligible, yet the category “synthetic” seems to imply the conjunction of two or more realities, something that one observes rather than knowing as a condition to have an experience (45, B 14, A 10). Yet the simplest things, like mathematical equations (47) and the relations between events-that-cause and events-that-result-from (48, B 19), must be in place before we can experience one thing as the cause of another. Since mathematics and physics have a certain standing, when tested experimentally, Kant insists that philosophy must account for their intelligibility rather than dismissing them as bunk (49, B 20). But in order to do so, some examination of reason itself is in order, the sort of digging-about that arrives not at truth about objects of reason’s inquiry but about the inquiring power of reason itself (51, B 24). Thus Critique of Pure Reason proposes to offer a new organon, an examination of the structure of reason itself, so that philosophy can make sense of what happens when the reason has an experience. As you no doubt see already, Kant is engaged in a long inquiry, involving most notably David Hume, about the nature of knowledge, and this book is going to be a hard ride. My own background, having dipped into Kant’s books and seen a dozen different summaries of Kant, will make my part of this project idiosyncratic. After all, having read counter-arguments to Kant long before I started reading Kant, my tendency will be to put them into conversation, a project that for obvious reasons Kant himself would not have anticipated. 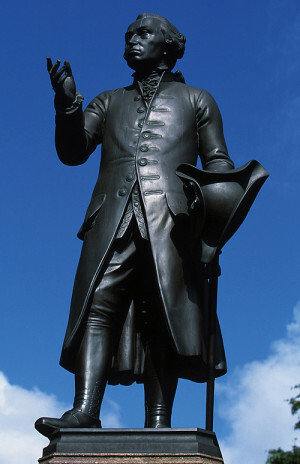 But after all, such is the character of learning: one builds on the ground one finds, so the best I can do is to ask you, O Reader, to trust me as I attempt to present Kant in terms that the old German might approve rather than as a punching bag for postmoderns. Such is my task, and I hope you’ll come along as we keep reading our Kant! Oh my goodness. I tried to make it through Critique of Pure Reason and failed HARD. Y’all have some serious guramba. Best of luck to you.